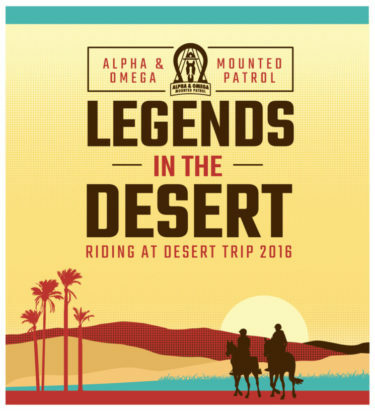 Alpha & Omega was honored to provide mounted patrol for the Desert Trip Music Festival. The event featured rock and roll legends The Rolling Stones, Paul McCartney, The Who, Bob Dylan, Roger Waters, and Neil Young at back-to-back weekends on October 7 to 9 and October 14 to 16 at Empire Polo Club in Indio, California. The once-in-a-lifetime lineup, luxurious on-site camping, world class culinary events and other features made Desert Trip one of the most talked about music happenings of the year. The mounted patrol assisted with crowd management, public safety, and parking, and acted as roving information booths to assist fans quickly get to their destinations.